We offer an extensive assortment of Stretch Wrapping Machine, stretch wrap machines and wrapping machines to our esteemed clients. Sourced from reputed vendors, these are made using superior quality raw material. 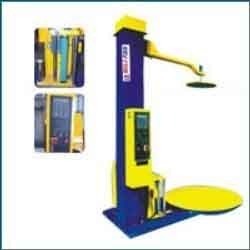 These machines are available at reasonable prices. Our range consists of Ipbw 650/ipbw 650a and IPSRW 600. In order to keep pace with never ending demands of the customers, our company is instrumental in Stretch Wrapping Machine. With extremely driven technical excellence, we have been able to provide our clients with a wide range of Stretch Wrapping Machine IPBW 650/ IPBW 650A. These are manufactured using best grade raw material and new technology in observance with set industry norms. In order to contest the quality standards, these wrapping machines are stringently checked against various quality parameters like toughness, functionality and productivity. Owing to the rich industrial experience and expertise in this business, we are involved in providing Reel Stretch Wrapping Machine. This machine is manufacture for packing Non-woven, paper roils rubber products and identical materials made in modest reels. This packing technique can form a cocoon type packing. It is wholly Moisture water & Dust proof packing the products. It is used to wrap stretch film around a loaded pallet. Film provides extra support while the products are being transported & storage to protect them from tip, spill or from being damaged. 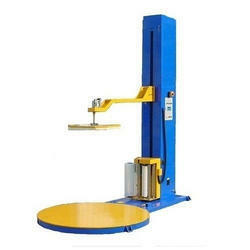 The machine can be equipped onto packing production line to complete film wrapping. It adopts programmable control with function of automatic positioning, auto height detection of goods, auto reset of turntable etc. Auto film feeding and cutting, auto failure alarm and stop. It is widely used in chemical industry electronic industry building materials home appliances papermaking foodstuff & drink etc. We are a most trusted name amongst the topmost companies in this business, instrumental in offering high quality array of HL-Series Pallet Stretch Wrapping Machine. HL series pre-stretch pallet stretch wrapper is utilized to wrap stretch film around a loaded pallet. Film provides extra hold while the products are being transported & storage to guard them from incline, spill or from being spoiled. High efficiency and low electricity-consumption, convenient in operation. The wrapping type and times can be designed on customersâ€™ requirements. Auto reset of turn table. Programmable control and frequency converter is available. Optional function: Remote control; Pneumatic controlled film feeding & cutting system. It is widely used in chemical industry electronic industry building materials home appliances . With highly driven technical excellence, we have been able to provide our clients with a wide range of Stretch Wrapping Machine IPBW 650/ IPBW 650A. 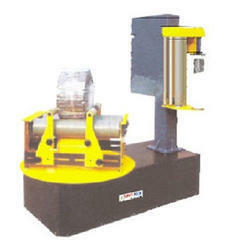 These are manufactured using high grade raw material and latest technology in compliance with set industry norms. 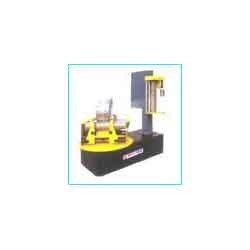 In order to match the international quality standards, these wrapping machines are strictly tested against various quality parameters like durability, functionality and productivity. It is used to wrap stretch film around a loaded pallet. Film provides extra support while the products are being transported & storage to protect them from tip, spill or from being damaged. 1. 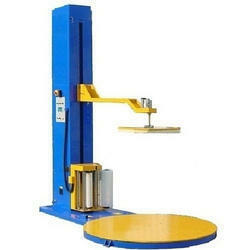 The machine can be equipped onto packing production line to complete film wrapping. 2. It adopts programmable control with function of automatic positioning, auto height detection of goods, auto reset of turntable etc. 3. Auto film feeding and cutting, auto failure alarm and stop. 4. Auto reset of turn table. 5. Pre-stretch ratio: 50~250% (adjustable). 6. HL-2100P with top press. 8. Programmable control and frequency converter is available. 9. Optional function: Remote control; Pneumatic controlled film feeding & cutting system.